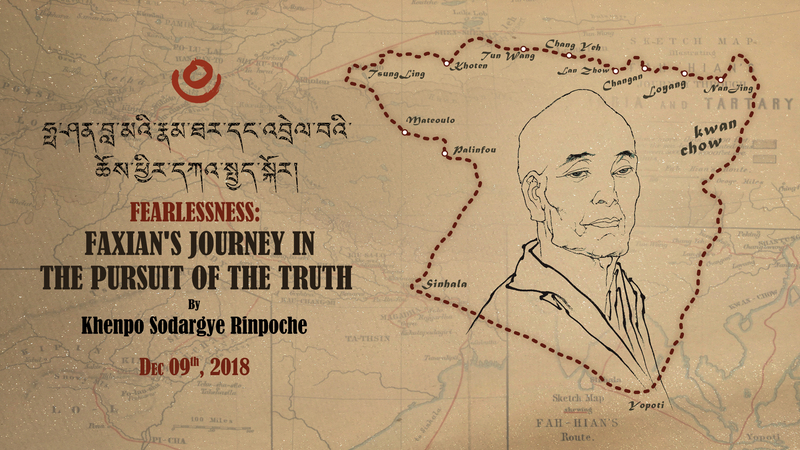 At 7:30 PM (Beijing Standard Time), Sunday, December 9, Khenpo Sodargye Rinpoche will give a live Dharma teaching titled Fearlessness: Faxian’s Journey in the Pursuit of the Truth, followed by oral transmission of Mipham Rinpoche’s Sadhana of Making Offerings to the Guru (༧མི་ཕམ་རིན་པོ་ཆེས་མཛད་པའི་བླ་མ་མཆོད་པ་བཞུགས་སོ།). The teaching is in Chinese, with simultaneous translation in English and Japanese. You are welcome to join us.